Emerald Media - The Aviation Nutritionist wants you to fly healthy: At EBACE to advocate DNA profiling for frequent flyers seeking peak performance. The Aviation Nutritionist wants you to fly healthy: At EBACE to advocate DNA profiling for frequent flyers seeking peak performance. At EBACE to advocate DNA profiling for frequent flyers seeking peak performance. EBACE, Geneva:- Sarah Wilson, The Aviation Nutritionist, is at EBACE in Geneva this week to champion how the importance of a healthy diet can help stressed high flyers, criss-crossing time zones every week keep at their optimal best when travelling at 35,000 ft. 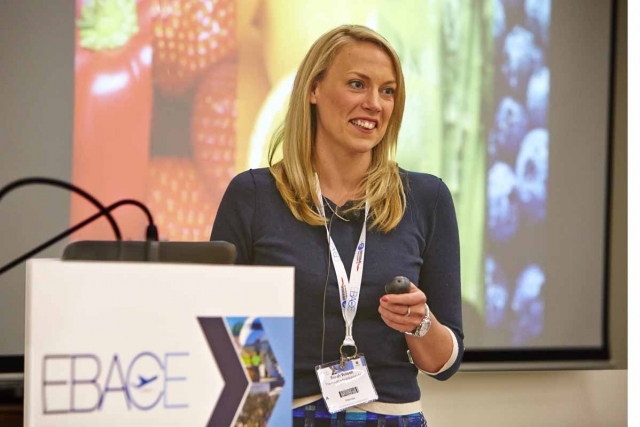 Addressing the EBACE Safety Workshop on Monday 23rd May chaired by EBAA President, Brian Humphries, she told delegates that the secret to getting the right nutrition is all down to "internal" tailoring and personalisation, centred on understanding your genes. "When flying at altitude it is useful to understand your nutritional needs; how well you detoxify; your salt and caffeine sensitivities; your tolerance to lactose and gluten, your antioxidant needs, your sensitivity to weight gain based on your fat intake and what type of exercise best suits your genetic make-up." "By simply tailoring your diet when you fly, based on your genes, you can really feel your best, reach your peak performance and ultimately gain a competitive edge." Caffeine, for example, is regularly used to increase performance, but if you look at an individual's gene profile this could actually be having the opposite effect. The same can be said for gluten which may manifest as fatigue, 'foggy' head, joint pain or even depression.. The body's ability to absorb key nutrients, e.g. vitamin C and D, may be impacted which is vital for the immune system and is often lost in a time of stress," Sarah highlighted. At her practice in Harley Street, London, The Aviation Nutritionist works with a methodology called Nutrigenomics or 'DNA profiling,' tailored to individuals. Testing via a salvia swab allows Sarah to create a unique nutritional profile for clients, while a clinic visit offers a more detailed addition, including a blood test to give complete bespoke health map profile. From this a bespoke diet plan is recommended. "Serving a delicious nutritional meal is one of the best ways to create a positive impact on one's daily life and their onward impact on others," The Aviation Nutritionist 2016. 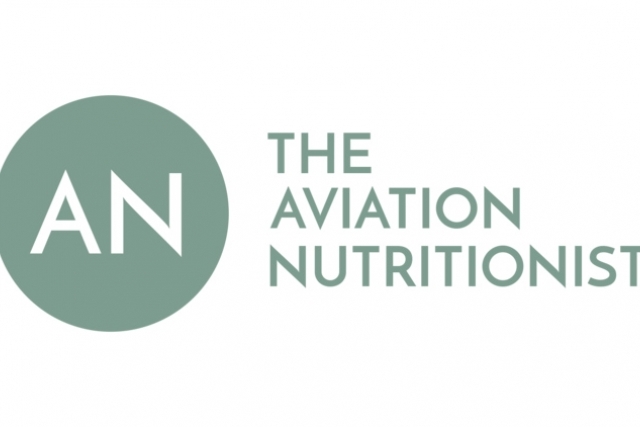 This week The Aviation Nutritionist will be a guest at the Gama Aviation stand VO45 on Tuesday and Wednesday at 11 am and 3 pm during EBACE, supporting On Air Dining's demos, and will book delegates in for DNA sampling. "A personal diet plan can easily slot into the bespoke business jet experience and this is becoming easier, especially among the larger operators who are employing their own executive chefs. Sarah will be meeting with inflight dining companies and operators to learn more about their challenges and see how her expertise could assist them with certain clients who have health issues. She has recently started working with ConnectJets in London on a project for the forthcoming Farnborough Air Show. The Aviation Nutritionist, Sarah Wilson (mBANT CNHC DipION FDSC) is a specialist in nutrition and the body's needs at altitude. She has been offering this service since 2015 from her Harley Street clinic. Sarah has developed a unique methodology which offers a truly tailored approach to the individual, deciphering their natural abilities to utilise and absorb all the various food groups that promote good health by analysing their DNA. Clients include British Airways, where she is currently helping them devise new crew menus, Heathrow Airport Ltd and DHL.